SETsquared has been awarded £5m by HEFCE to launch a new Programme for Scale-Up businesses from the most innovative sectors across the South of England. 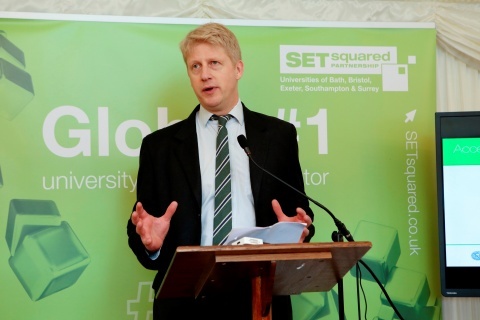 Jo Johnson, Minister of State for Universities & Science, announced the award as part of £20 million allocation to the first round winners of HEFCE’s Connecting Capability Fund competition. The Fund, which was announced in the Government’s Industrial Strategy green paper (which also cited SETsquared), aims to support universities in working together and with external partners to commercialise research, help deliver the Strategy and share good practice and capacity.